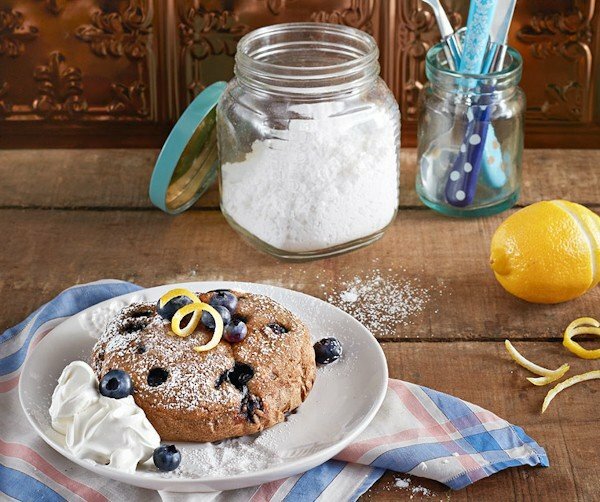 Home » crockpot » VeganBlueberry Lemon Cake from Your Slow Cooker! Today is the day my book officially launches! However, Amazon will start shipping it on the 5th, so you may have a few more days before it reaches your mailbox. While you’re waiting, here’s a lovely cake to snack on. This is my slow cooking take on desserts for 1 – only this one makes enough for 2 – but can stretch to be a mini dessert for 4. I think the desserts like cookies or cakes are easiest to get out by lining your crock with parchment paper. Instead of fighting the cake, it just lifts up with the paper in one beautiful piece just like Kate’s did above. I think it’s even better slow cooking a cake in your small slow cooker because it only takes about 1 to 2 hours. Start it right before dinner and you’ll have a warm freshly baked cake waiting on you to dish out. You can even top it with some So Delicious Almond Milk Vanilla ice cream. It’s great for date night at home. Pumpkin Coconut Caramel Sauce – one of my favorite recipes in the whole book. It’s amazing in coffee too! Spray the crock with oil or **line with parchment paper to make the recipe oil-free. 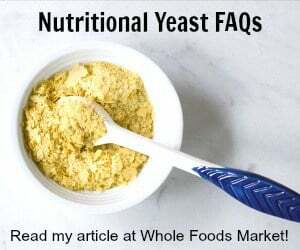 Mix the dry ingredients in one bowl and the wet ingredients in another. Add the wet to the dry and mix until combined. Pour the mixture into the slow cooker and spread evenly on the bottom. Put a clean dish towel or paper towel between the lid and slow cooker to absorb the condensation. Cook on high 60 to 80 minutes or until the middle is solid and doesn’t indent when you touch it. Congratulations on your publication day…Cheers! Can’t wait to try this. I have your other books and love them, Will have to get this one someday. Congratulations!! Love how you get the vegan food and it’s goodness out there. We need to change the public’s opinion on veganism. Most people don’t get it at all. Books like yours make it easier to get on board. Thanks for that! I realize the cooking time would be longer…but have you had success doubling this recipe for use in a larger crockpot? It looks delicious! Cindy – I would do it more like my slow cooker poundcake: https://healthyslowcooking.com/2011/06/17/vegan-pound-cake-from-your-slow-cooker/. Since I developed this one just for the small slow cooker I have not tried it in a larger one. You caould try cooking it in a pyrex container inside a larger slow cooker though. I LOVE my slow cooker … but I’ve never baked in it! This looks like the recipe that I will make! And … I’ve got all the ingredients here! Yay!! Thanks for the awesome recipe!! these look delicious! I would have never guessed they’re done in a slow cooker.